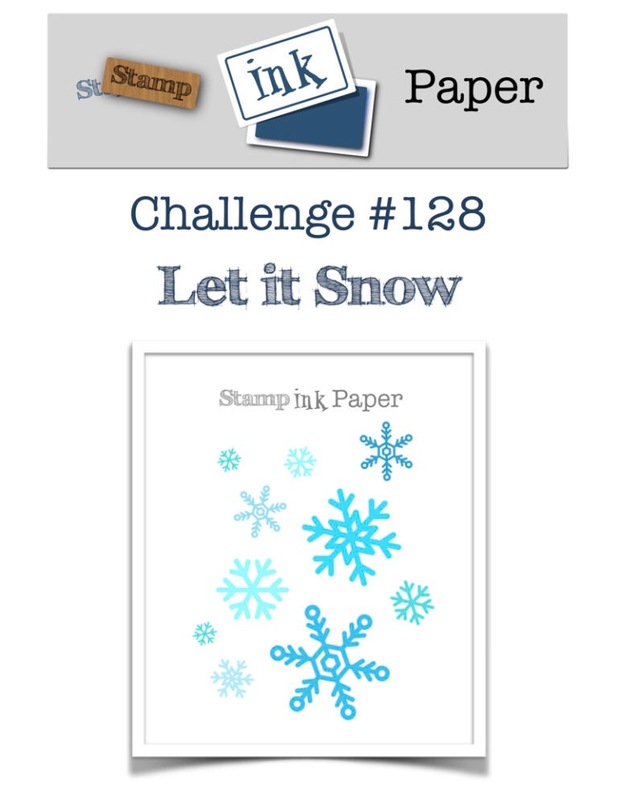 Playing along with a Stamps, Ink, Paper Challenge (128) with a Snowy Polar Bear Christmas card and matching thank-you note. So here are my matching cards. I’ll tackle the main Christmas card first. 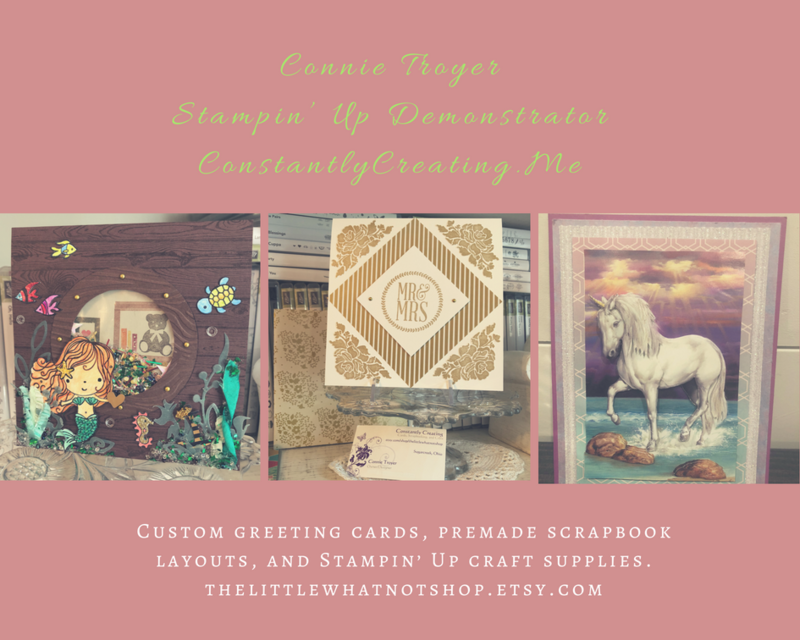 The embossed snowy background was given to me by a crafty friend, and I flipped it over so that the debossed side was showing. I matted it with some current SU Emerald Envy plain cardstock on a Thick Whisper White card base. 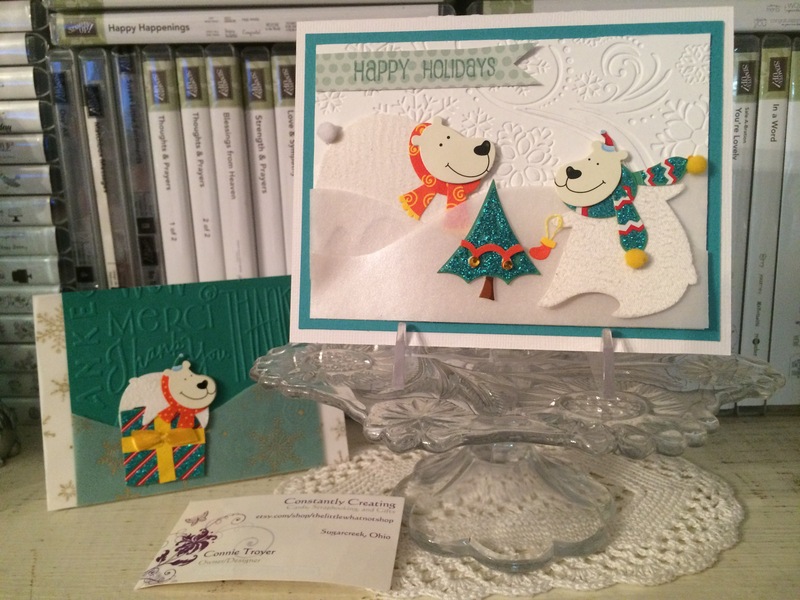 The paper-pieced polar bears and trees are 3D stickers from a “Holiday Time” series – I think they might be from Walmart. They’re actually pretty cool, using poms for the tails and the ends of scarves, and the tree is glittered. I was having trouble fitting all three on the A2 card base, so I thought if I had one peeking over a snowbank as if he were watching the scene, I could put them a little closer together. My “snowbank” is made out of two strips of shimmery translucent vellum paper, which I cut by tracing a Card Creator Spellbinders die and then cutting it out by hand (hubby was sleeping and I was trying to minimize the noise, plus I wasn’t exactly sure where I wanted the mounds to go, so I traced/cut it especially long and then positioned them where I wanted them). I popped up the vellum in parts for effect and to fit the back polar bear in without squishing him (trying to reduce that whole “translucent” thing). I had thought of using white handmade mulberry paper instead of vellum, but I didn’t feel like making a bunch of noise and rooting around in my “specialty paper” drawer since it was late and I was only supposed to be “fiddling” (i.e., going to bed soon) as opposed to outright intentionally creating. 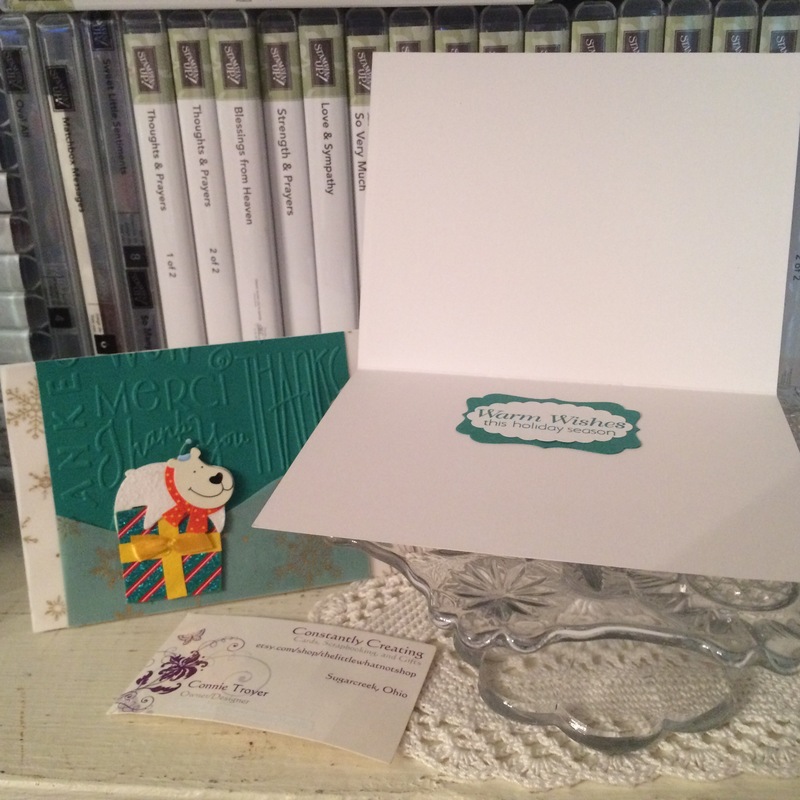 I kept the inside of the main card simple with a “Warm Wishes This Holiday Season” sentiment from Close to My Heart’s “Scandinavian Wishes Stamp of the Month,” (SU Emerald Envy ink), punched it out with my retired SU Scallop Oval punch, and matted it with my SU Decorative Label punch in Emerald Envy cardstock. Hope you’ve enjoyed this offering! Thanks for stopping in.